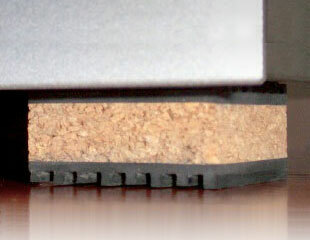 Vibration Isolation Pad Mounts are a simple form of vibration and noise control where two neoprene sheets are adhered to a cork center core. Hard-to-solve problems, like the hum from a garage door opener or the shaking of a clothes washer, can be the last interference you would think about when designing your soundproof rooms. Many times the sub floor is in hard contact with the ceiling joist below and the banging of an appliance upstairs ruins the serenity of your media room or home theater. 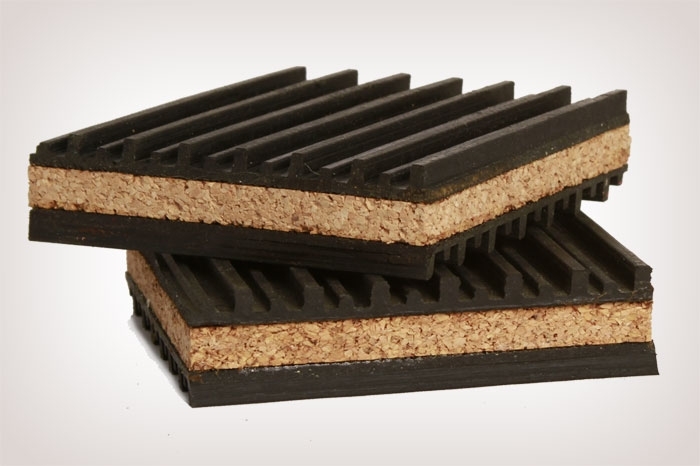 Rather than tearing things out to fix the problem, our little isolation kits can be the simple, effective noise solution you are seeking.